Does your home still have that outdated popcorn ceiling that was popular back in the 1980s and earlier? While they may have been in style decades ago, popcorn ceilings are nothing more than an eyesore these days. They’re certainly not conducive to a stylish and updated interior, and as such, many homeowners who are stuck with this material on their ceilings are choosing to have it removed. There are a few different ways to remove this material, but the job is not one that the average homeowner should take on alone without the help of a professional. The job is labour-intensive, time-consuming, extremely messy, and can even be dangerous because of potentially toxic substances that may be lurking within the material. 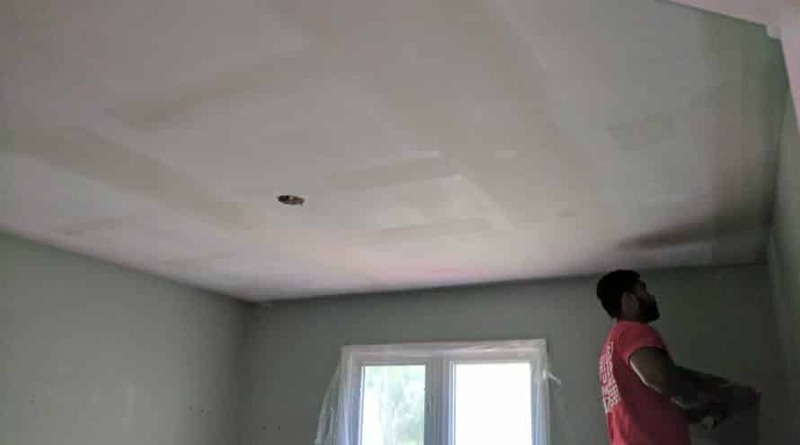 Before you decide to get rid of your popcorn ceiling, consider some reasons why this job should be left to the professionals. 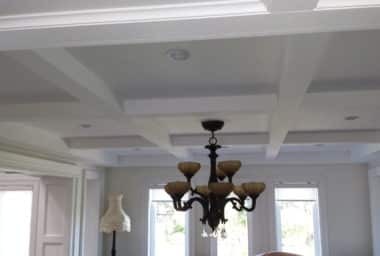 If you decide to have the sprayed-on stucco material that makes up the popcorn ceiling scraped off, you’ll quickly discover how tough this job is without the proper tools, technique, and assistance. You could literally be perched up on a ladder for days on end chipping away at the material. While you’re at it, you could be causing extensive damage to the underlying surface that will require a lot more effort to smooth over. 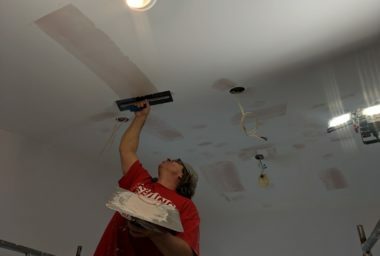 If you decide to have the popcorn ceilings covered with a brand new sheet of drywall to create that smooth surface you desire, you’ll definitely need some help in this department. Laying ceiling drywall is a challenging task that requires skill and know-how to get the job done right. With the pros, you’ll have a team of experts with the proper tools and techniques to get the job done as quickly as possible in a streamlined manner. 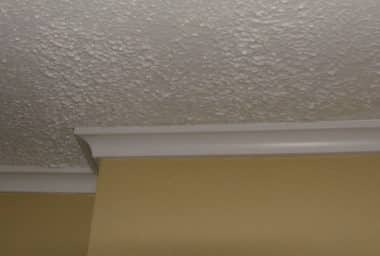 It was common for popcorn ceilings that were installed back in the early 80s and earlier to have asbestos in them. This toxic material has been linked to rare forms of lung cancer after being exposed to it for long periods of time. While asbestos may be fine if it is left untouched, it can become extremely hazardous if it is disturbed. As soon as you start scraping away at the asbestos and the particles become airborne, you and those around you will be exposed to the toxin. The professionals in popcorn ceiling removal are highly trained in handling this substance and will take the necessary precautions to remove it without any risk to your health and that of your family. The process of removing sprayed-on stucco is extremely messy. Your home can easily become filled with dust from the removal if the necessary steps aren’t taken to protect areas without any popcorn ceiling material to be removed. When you work with the experts in this field, they’ll take measures to seal off all other areas to ensure the mess is contained in one area. Ready to have your unsightly popcorn ceilings removed? Be sure to contact The Ceiling Specialists today!